Special Buy Perfect for target shooting, plinking, and small game hunting price 289.97 save $30, Abu Garcia Unbelievable low price compared to 2016 prices 119.97. Bass Pro Shops outdoor escape sale starts friday, april 14 2017, RedHead Men's or Ladies McKinley Hikers lowest price ever 29.97 save 40%, Ascend save 50% price now $17.49, Special buy 2 for $30 RedHead Cedar Valley Shirt. 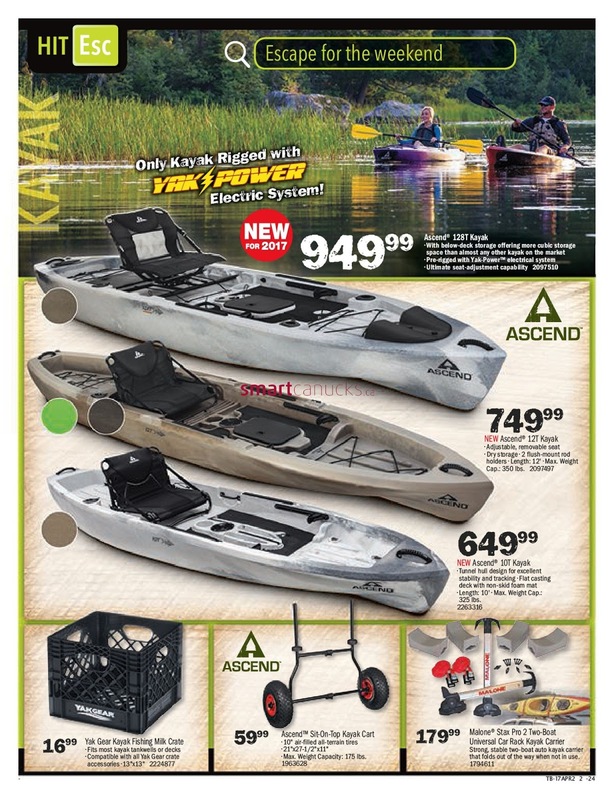 Explore the local waterways with Kayak Bass Pro Shops, more flyer you can find at bass pro shops flyer.